Australia has never got down from the list of countries that have always attracted countless Indians to fly in and test their luck on a foreign soil. Being almost at the other end of the globe, Australia surprisingly has been able to yield many Indians in the name of work, education, holiday and settlement. Especially coming to education, only Indians are almost 400,000 in number in Australia who went there in search of higher education which equally is of high quality and greatly respected globally. 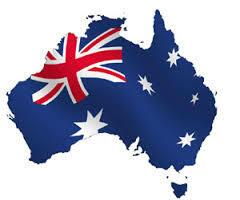 One can attribute this to the most practical learning approach of Australian educational institutions towards education. This has fetched students, a great mindset towards their streams and they have excelled in their domains superbly; especially Indian students. Immigration to Australia has always been immigrant friendly and foreign nationals haven’t faced major troubles in flying to Australia. Australia immigration has been very friendly with foreign immigrants as the whole purpose is to convert Australia into a land of global habitat. On the other hand, Australian Immigration has proudly claimed in the recent times that Indians are its top migrants and the following stats very palpably reveal such claim. Almost 50% of the migrated cooking professionals in Australia hailed from India for the season 2011-12. That alone reveals the remarkable immigration of Indians to Australia. With countless visa sub categories and many procedural norms to follow before earning an Australian visa, it is highly difficult to do all that very independently. Every immigration enthusiast needs guidance and counseling in the case of Australia Immigration and there are few consultants out there who provide exactly that. A panoramic idea about Australian Immigration is necessary to be provided to the enthusiasts to ensure a total awareness as to what to choose and how to apply for different subclasses of visa. Without this knowledge, the whole prospect of flying to Australia would be a waste as there is already the growing concern of non-English speaking foreign immigrants turning jobless in Australia. Such concerns will be very clearly put across by honest visa & immigration consultants and the real task of immigration enthusiasts is to find one for themselves.